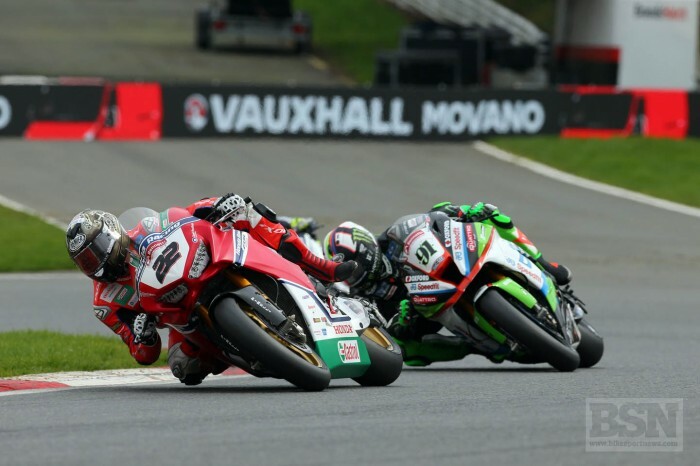 Honda Racing’s Jason O’Halloran got his 2018 Bennetts British Superbike title challenge on track at Brands Hatch with a podium finish in race one. The Australian, who was flying solo as a result of Dan Linfoot’s crash in free practice, caught and passed Leon Haslam in the dying laps to bag 16 points for third place behind Shane Byrne and Bradley Ray, but a wrong tyre choice in the wet second outing saw O’Halloran retire. “Race one was fantastic, we came from the third row and it’s always really tough to pass here. I made some good passes with the Fireblade and moved forward the whole race to finish on the podium. Not only did we catch Haslam, but passed him and held him off. 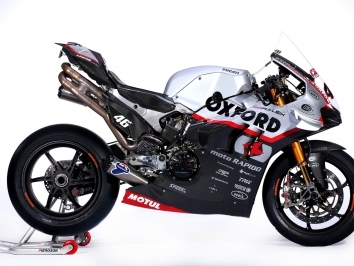 He’s one of the strongest guys in the championship, so to pass him we’re making progress,” said O’Halloran. “I felt that I had the same pace as the leaders but starting on the third row hurt us, especially with the battles I had coming through to get to the podium. I’m really pleased with the CBR, we made some adjustments over the weekend which had a really positive effect and I am feeling much more comfortable and happy with the progress we’re making. Race two started well for us in the dry conditions, it was spitting with rain but it wasn’t too bad I didn’t think. “I got a bad start and was run wide at turn one, around here the lap time is so close and when you feel that you’ve got more than the people around you, it’s a nice feeling. I passed Shakey, Cooper and got up into fifth and thought ‘I’m in a great place this early, just keep doing your thing and keep moving forward!’. “The race was red flagged and we went with a wrong tyre choice in the second part, choosing a rear intermediate tyre. When I rolled out of pit lane I thought ‘great we’re on!’ The track wasn’t too wet, it was damp and I felt like we’d made the right choice, but it just kept raining and the heavier the rain got the worse it got, I had no traction and was spinning hard, I stayed out for as long as I could, but in the end it was safer to pit.